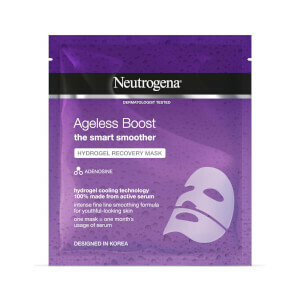 Transform tired, lack-lustre skin with the Neutrogena Radiance Boost Hydrogel Recovery Mask; a revitalising treatment designed in Korea. Enriched with Vitamin B3, the single use face mask adheres to skin for maximum absorption of active ingredients. 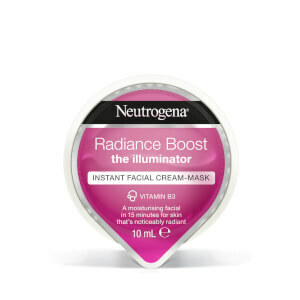 Expect a soft, fresh complexion with a luminous glow. Aqua, Dipropylene Glycol, Propanediol, Niacinamide, Chondrus Crispus Extract, Rubus Fruticosus Leaf Extract, Maltodextrin, Tocopherol, Plukenetia Volubilis Seed Oil, PEG-60 Hydrogenated Castor Oil, Sucrose Cocoate, Ceratonia Siliqua Gum, Potassium Chloride, Xanthan Gum, Disodium EDTA, Trisodium EDTA, Chlorphenesin, Phenoxyethanol, Parfum, Linalool, Benzyl Salicylate, Alpha-Isomethyl Ionone, Hexyl Cinnamal, Citronellol, CI 14700, CI 19140.